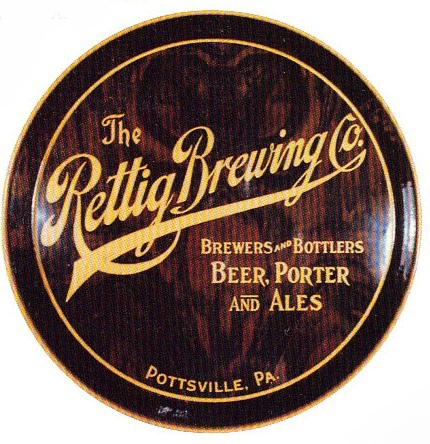 Serving Tray for Beer, Porter, and Ales from The Rettig Brewing Company. Brewers and Bottlers out of Pottsville, PA. This tray has a wood grain design.